With but seven days to go on the Kickstarter for Island of Ignorance, Golden Goblin Press’ Oscar Rios has hit the podcasting circuit, giving interviews for the Miskatonic University Podcast and the Goblin Beat. If you have had any questions, it is pretty likely that Oscar answers it in either one of these interviews. Check ’em out. They are only about $1000 from adding a fourth scenario (in this case one from Jeff Moeller); if you’ve been on the fence about contributing, jump in . The crew at the Miskatonic University Podcast have posted an actual play of my Shotgun Scenario “Last Things Last”. Yeah, I was a little surprised how that went… now that was some bad dice rolling guys. Nevertheless, it is always interesting to hear how something I wrote translate from the page to the table. 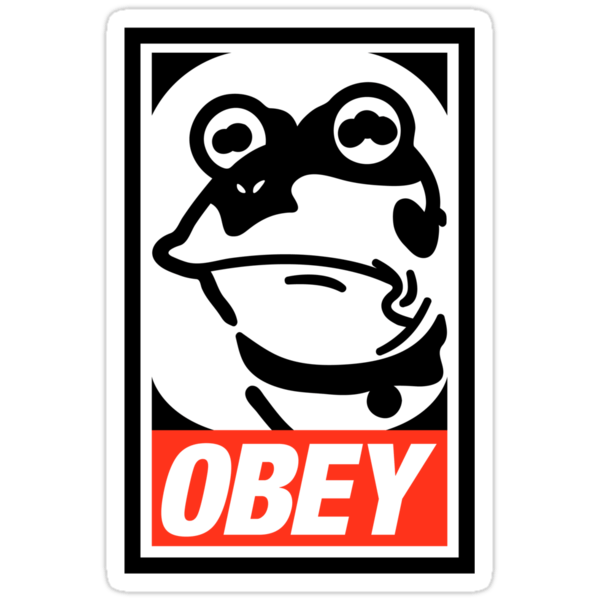 I couldn’t find a suitable image of Sir Simon Milligan so I figured this Farey-esque Hypnotoad would have to do. (Yeah, it would probably be easier just to write to Shane, but this is more fun. There is yet another Kickstarter I should mention, and, in this case, I’m actually involved with the project, albeit tangentially. Stone Skin Press (the fiction wing of Pelgrane Press) is raising money to print their first round of books, including Shotguns vs. Cthulhu. In said book appears a story by Adam Scott Glancy based on my shotgun scenario “Last Things Last“. It is exciting, and just a little weird, to have one of your scenarios turned into a bit of fiction. It is especially edifying to have someone whose work I have so much enjoyed found my little scenario so inspirational.